Our colleague and Part II student Becky Hourigan, was awarded the 2015 Bedford Travel Scholarship by the West Yorkshire Society of Architects (WYSA) in May last year. Becky has since travelled to Japan in the summer to study the architectural preservation of the Ise Grand Shines. This is a subject close to Becky’s heart and compliments her previous work with the National Trust and English Heritage. These shrines are unique, as they have been rebuilt every 20 years since 678 AD. The rebuilding of the shrines allows the skills and craftsmanship in building the shrines to be passed down through each generation, with the current craftsmen teaching the next generation. 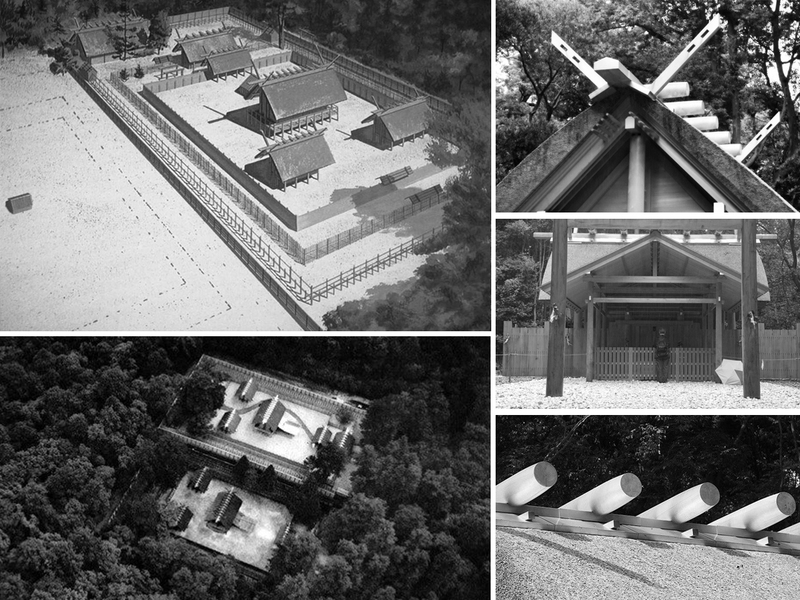 The new shrine is rebuilt on an adjacent site to the existing shrine to enable exact replication of the shrine. For a short amount of time the two sites, old and new stand side by side. The old shrine is then dismantled with the old material being distributed around the complex and to other Shinto shrines around Japan that are in need of material. Becky’s presentation book shown within this video explores the notion of transferred knowledge and teaching via alternative methods as practiced by the Shinto shrine craftsmen. By following the instructions in the front of the book the user reveals two drawings, which explore the Shinto shrine rebuilding process. Becky presented her research from the trip at the WYSA 2015 Awards and is currently completing her final year of architectural studies.